Patients who present as hostile, violent, or aggressive in some way, may result in healthcare workers fearing for their own safety. Here we discuss best practices in managing such patients in the acute care setting. Why is it important to learn how to manage acutely aggressive behaviour? Risk to self. 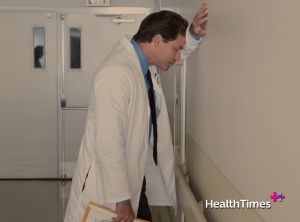 Nurses in particular are at high risk of being verbally and physically abused by patients. This can occur not only in the emergency or psychiatric setting, but across all areas of healthcare. Risk to the aggressive patient (who is at higher risk of hurting themselves whilst in an agitated state). Acuity/urgency of the situation – less time to pause and think. The danger/urgency of the situation may also cause some healthcare workers to panic. A trained, skilled healthcare worker can manage a risky situation in a safer, more efficient manner. Which medical conditions are risk factors for aggressive behaviour? How should I interact with a patient who is becoming agitated? Prior to talking to the patient, first inform other staff members what you are about to do, so they can keep an eye on the situation and assist you if necessary. Maintain a calm tone of voice, avoiding yelling. If they are standing, invite them to sit down. Leave the cubicle/room door open (this will avoid the patient feeling trapped, and allow you a quicker getaway if the situation escalates. Note: Always have a clear route to the door – avoid situations where the patient is between you and the door). Talk to the patient in an open, more spacious area if possible. Avoid forcing patients to undergo testing/examinations they don’t want to do, unless it is an emergency. Fully explain all procedures and gain their consent first. Ask patients in a non-confronting manner what is causing them to be upset. Avoid verbal confrontations, and try to avoid becoming defensive or emotional. Consider offering (not forcing, unless necessary) sedating medication. Take into account cultural factors – e.g. an Indigenous patient may respond better to an Indigenous health worker, if available. Firstly, whenever you feel as though a patient is in imminent risk of hurting themselves or others, call a Code Black to summon immediate assistance from security staff. As guided by the doctor or senior nurse in charge, patients may be restrained if deemed at high risk of hurting themselves or others. Chemical restraint includes the use of medication to sedate the patient, often with drugs such as benzodiazepines. The combination of IV droperidol and midazolam is commonly used in the emergency department setting (generally after security staff have assisted in physically holding down the patient for the healthcare worker to insert an IV cannula into the patient). Mechanical restraint (again, often with the assistance of security staff) includes physically restricting a patient’s movements, such as with the use of wrist restraints, bedrails and isolation rooms. There is generally a low rate of complications associated with the use of mechanical restraints. One must be aware of the possible complications however, which include patients getting out of the restraints, patients still injuring themselves/others, increased agitation, and vomiting. Patients who are mechanically restrained require regular physical examinations to monitor their wellbeing – follow your workplace’s guidelines in regards to this and ensure the duty doctor assesses them frequently. Take sick leave if you need it – a particularly frightening encounter with an aggressive patient may have a negative impact upon a healthcare worker’s mental health, and some time off work may be necessary. Seek out counseling or appropriate support services as needed. It is also wise to debrief with your colleagues after the incident, to help you process the potentially traumatising event, and to help staff support one another. Report the incident appropriately – particularly if you or other staff/patients have been injured in the incident.